Put the tease in being a girly-girl with this precious pink duo-chrome lip gloss. Dazzling with red and pink flecks, this shimmer lip paint highlights your pout with an adorably flushed glow. 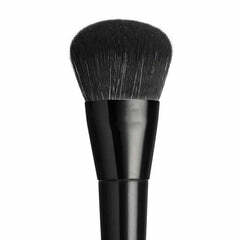 Long-lasting and cruelty-free, it delivers a sheer coverage finish and hydrating texture to be worn over lipstick, volumizing your pout for a sweet and perky finish. With its effortless glide and luscious metallic gleam, this pink vegan lip gloss is the must-have go-to for everyday wear.